Integration-free HiPSC. 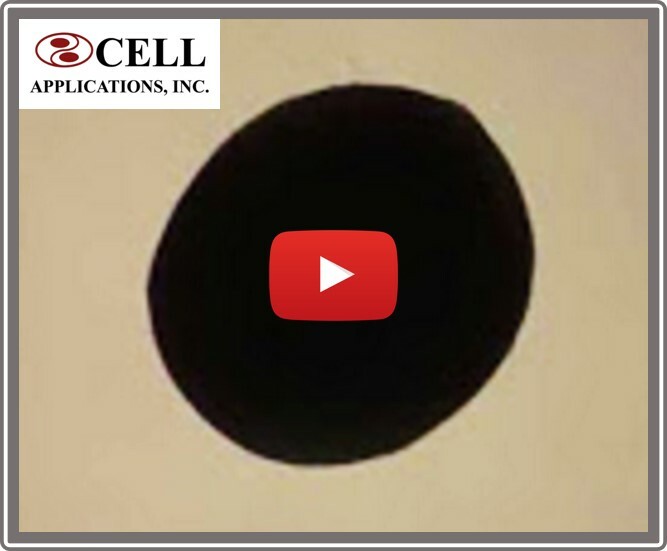 Our HiPSC are generated with the RNA-based Sendai virus to deliver reprogramming factors to donor skin fibroblasts. Since the virus does not go through a DNA phase, its genetic material and transgenes do not integrate into the host cell genome. 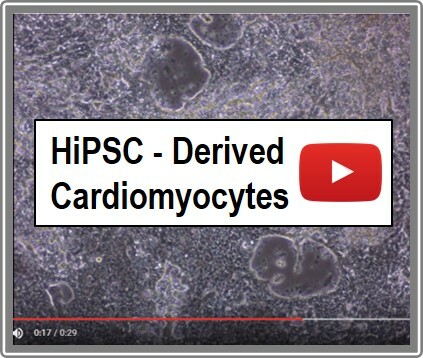 HiPSC are validated for viability, karyotype, pluripotency, plating efficiency, morphology, passage number and lack of contamination. 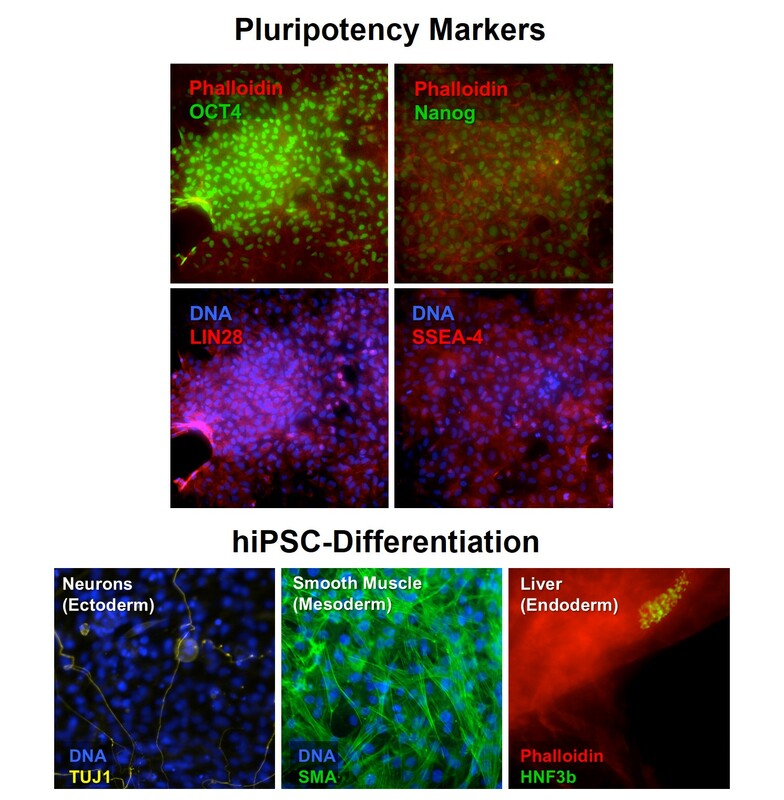 HiPSC-derived Neural Stem Cells (L) and Neurons (R). i-HNSC stained w/ Nestin (neural stem cell marker, green), SOX 2 (stem cell marker, red) & DAPI (nuclear stain, blue). SOX2 & DAPI nuclear co-localization yields purple (Left). 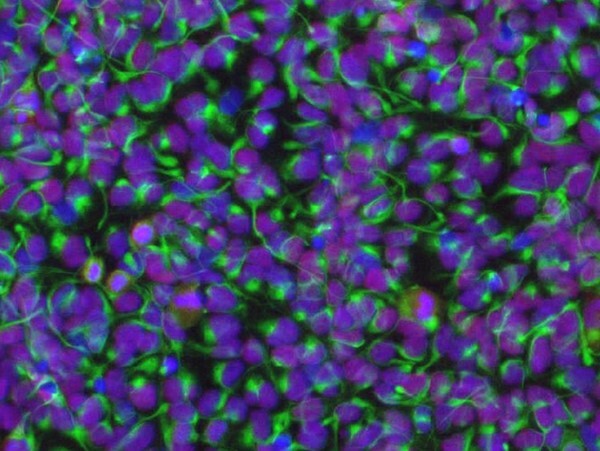 Video: Human iPSC-Derived Neurons establish mature, synchronized neuronal network. 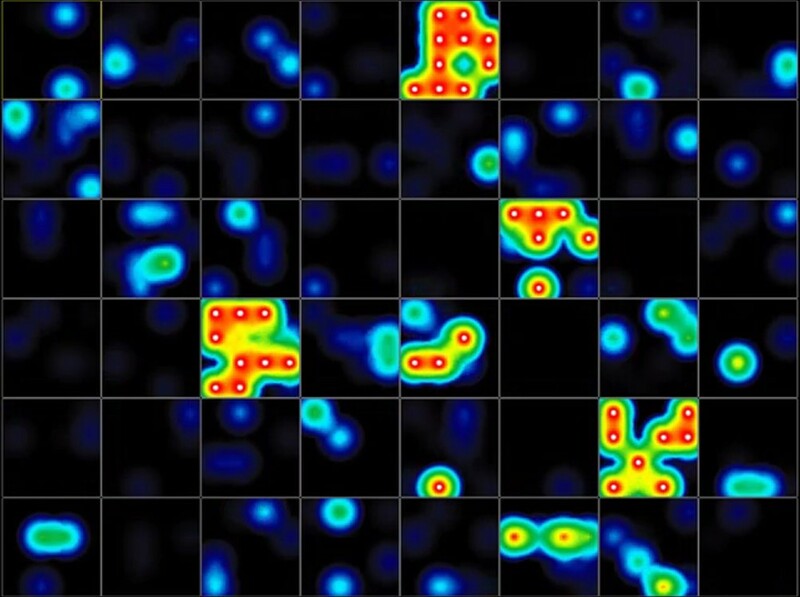 In real time, Multi-electrode array (MEA) shows optimal electrophysiological activity, which can be modulated by neurotransmitters or small compounds (Right). Top: HiPSC express pluriotency markers OCT4, Nanog, LIN28 and SSEA-4. Bottom: HiPSC differentiate into cell derivatives from the 3 embryonic layers: Neuronal marker beta III tubulin (TUJ1), Smooth Muscle Actin (SMA) and Hepatocyte Nuclear Factor 3 Beta (HNF3b). Ma, X., X. Qu, W. Zhu, Y. Li, S. Yuan, H. Zhang, J. Liu, P. Wang, C. Lai, F. Zanella, G. Feng, F. Sheikh, S. Chien and S. Chen. 2016. Deterministically patterned biomimetic human iPSC-derived hepatic model via rapid 3D bioprinting. Proc Natl Acad Sci, 113:2206-2211. Hribar, K., D. Finlay, X. Ma, X. Qu, M. Ondeck, P. Chung, F. Zanella, A. Engler, F. Sheikh, K Vuori and S. Chen. 2015. Nonlinear 3D projection printing of concave hydrogel microstructures for long-term multicellular spheroid and embryoid body culture. Lab on a Chip, 7:2412-2418.